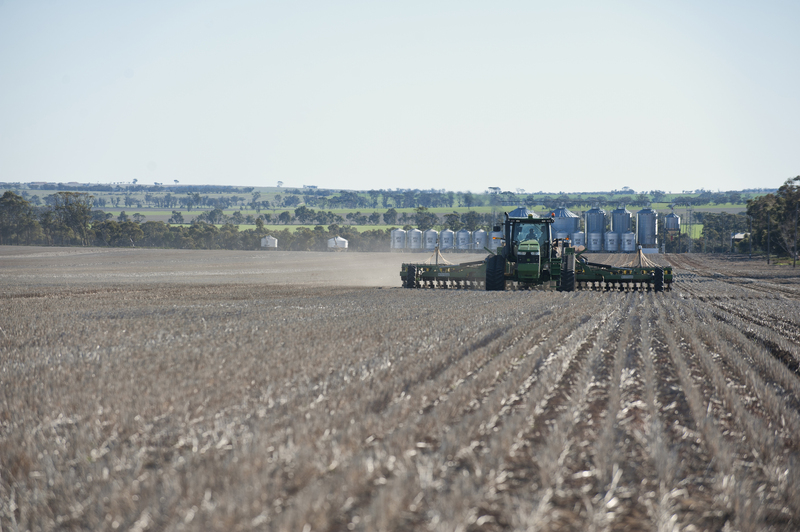 The eConnected Grainbelt project is led by the Department of Primary Industries and Regional Development (DPIRD) and funded by Royalties for Regions. WNRM, University of Western Australia (UWA) and Planfarm are partners in delivering this demonstration project in the Wheatbelt. New technology is helping growers make immediate, onground decisions with their farm management. New decision support tools, systems and technologies are being developed every year. The eConnected Grainbelt Demonstration project is developing tools that the agricultural community will use because they have real value and demonstrated benefits. Involving grain growers in developing these tools is important. This helps create programs that not only improve farm productivity and profitability, but are user-friendly. Information collected by this project and its participants will be fed back to technology developers. Developers will use this to tailor programs to grower needs. This will help growers access technologies that actually support their business. Wheatbelt NRM’s eDemonstration site is one of 11 new eConnected Grainbelt sites across south-west WA. eDemonstration sites include an automatic weather station and soil moisture probe. The weather stations are part of a statewide network providing data on air temperature, humidity, rainfall, wind speed and direction. Most stations also measure incoming solar radiation for evaporation calculations. Using information from a nearby weather station can help you manage variable seasonal conditions and risks. You can find real-time weather data for your area at the DPIRD weather station network website. By attending the eConnected Grainbelt project workshops, you can access the latest and most innovative agricultural technologies. The workshops are timed to demonstrate support tools related to key seasonal activities. Each event will go through selected tools that you may not be familiar with, but could use on your property. You will also directly add your knowledge and experience to developing and improving technologies to help with your farm management. Wheatbelt NRM’s eDemonstration site will particularly focus on technology to improve nutrient management. Publish articles on available decision support tools and their use in sustainable agriculture. Visit our Events Calendar to find out about upcoming eConnected events. The eConnected Grainbelt Demonstration project uses technology to help landholders make better-informed decisions for farm management. Using feedback from growers to develop better tools is an important part of the project. This project is a partnership between WNRM, DPIRD, UWA and Planfarm.